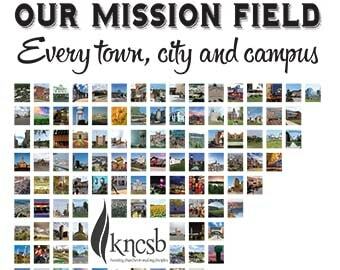 The Discipleship Training Department is responsible for providing resources to assist in equipping the churches of KNCSB in their discipling ministries. The Discipleship Training (DT) Department is responsible for providing resources to assist in equipping the churches of KNCSB in their discipling ministries. The DT Department is responsible for coordinating the annual Regional Children’s Bible Drill Tournaments, and State Youth Bible Drill/Speakers’ Tournament. A state Discipleship Training Team, composed of consultants for all age group training, is available to the churches and associations for conferences or leadership consultation. There is a limited quantity of cost-free materials available to the churches and associations. We have a wide variety of materials that are shared on a loan-basis. We will assist churches in the scheduling and coordination of Growing Disciples Weekend conferences. We are available to lead Transformational Discipleship conferences in churches or associations, with special emphasis and information relative to current resources available to facilitate short term and ongoing Discipleship Training.